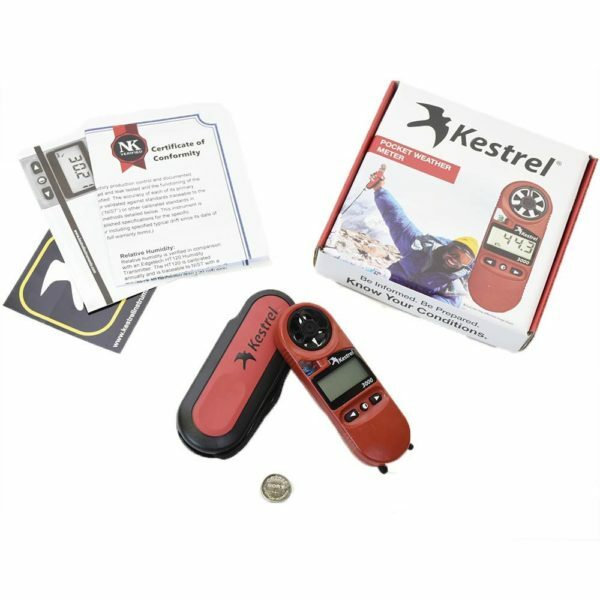 The Kestrel 3000 measures wind speed, temperature, wind chill, relative humidity, heat stress index, and dew point temperature. 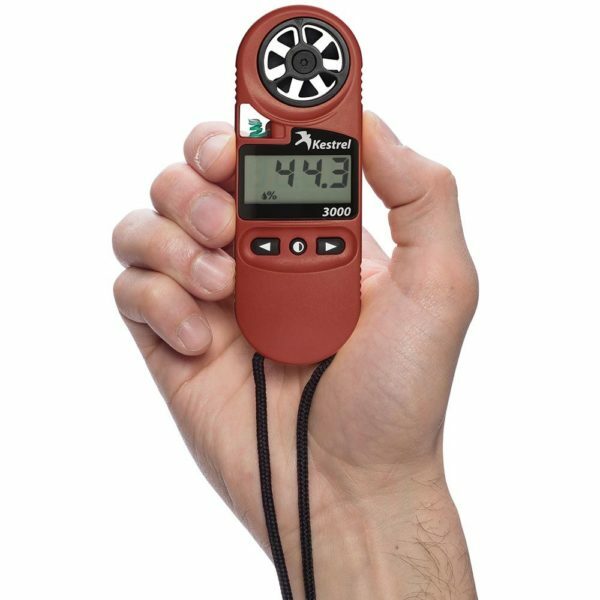 Pocket sized and easy to use to take fast and accurate readings of environmental conditions wherever you are. Wind Speed: Track maximum and average wind speeds along with current readings in knots, meters per second, kilometers per hour, feet per minute, and Beaufort force. Temperature, wind chill, heat index, and dew point temperature display in Celsius and Fahrenheit. 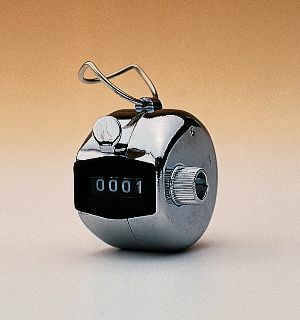 Relative Humidity is expressed as a percentage. All functions are controlled with two buttons. 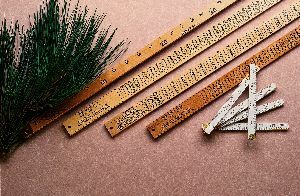 Measuring modes and display units can be changed at any time. 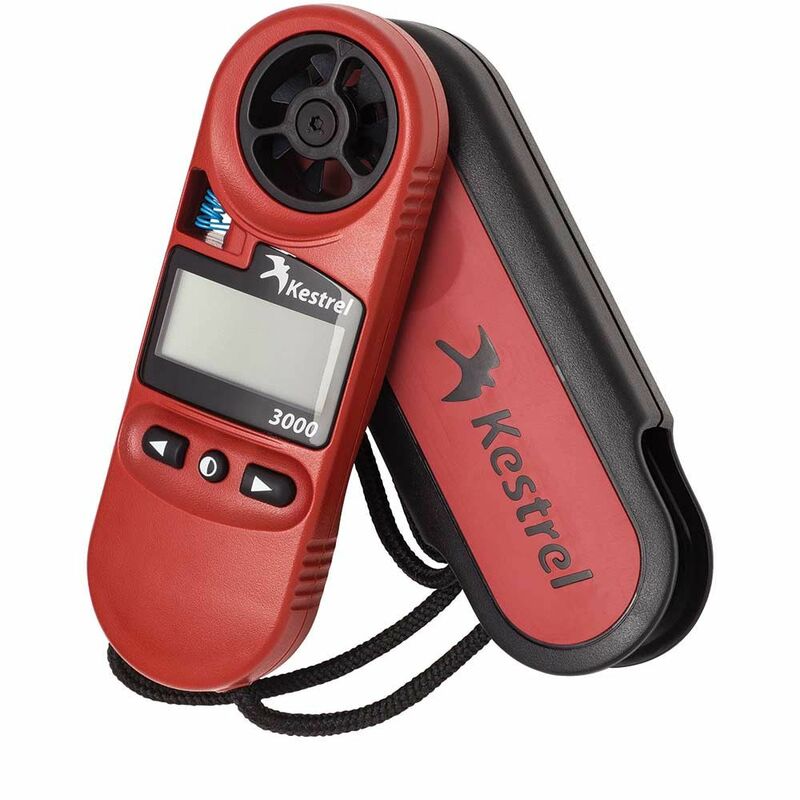 The Kestrel 3000 measures wind speed with a lightweight, user replaceable, impeller. 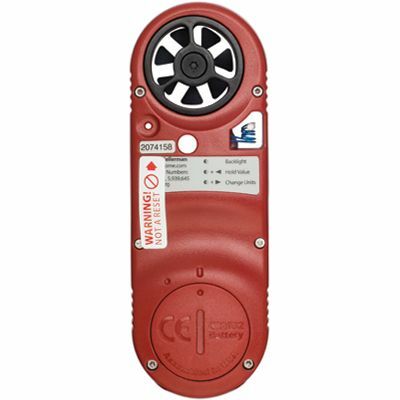 The unit is water resistant to 3 feet, floats, and comes with a protective case and lanyard. 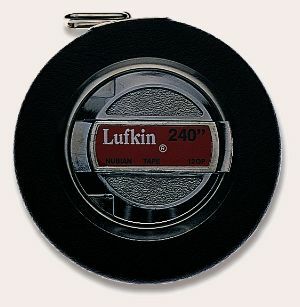 An easy to replace battery (included) provides 300 hours of operation. One year warranty. Minimum-Maximum wind speed: 0.3-40 M/S (~0.6-~78 KT, 1-144 KM/H, 0.7-89 MPH, 60-7,830 FPM) Accuracy: Wind +/- 3%, Temperature and Wind Chill +/- 1.0 C, Relative Humidity +/- 3%, Dew Point Temperature +/- C @ 20-90% RH, Heat Index +/- 3 C.